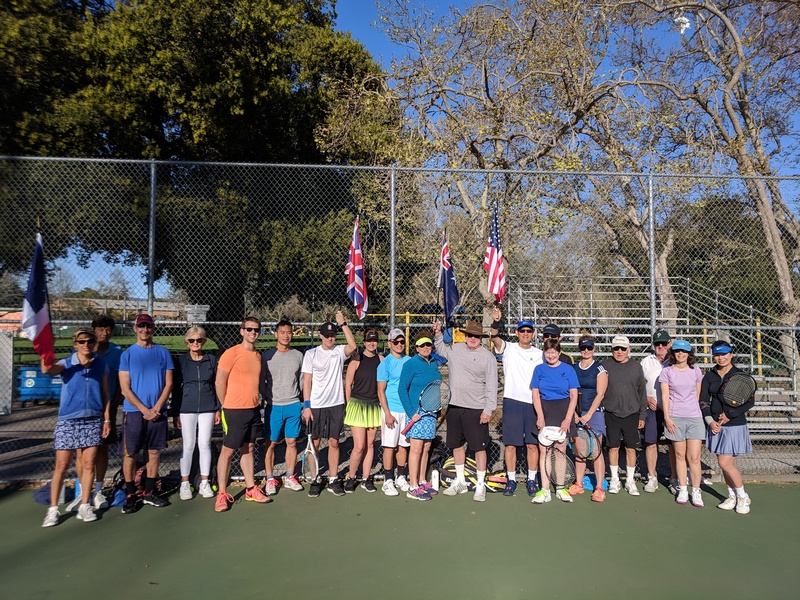 The Palo Alto Tennis Club (PATC) is a local non-profit volunteer organization devoted to the enjoyment and promotion of tennis. Most Club members live in Palo Alto, many come from our surrounding communities. Est'd 1948. In addition to weekly adult drop-in tennis, we host four "City-Slam-Series" tournaments, several USTA Sanctioned Junior Tourneys, and many Tennis Under Twelve Tennis (TAUT) and other youth tennis events. Members also receive "Net Notes", a monthly emailed newsletter. Club-managed drop-ins are held every Sunday of the month (except during tournaments) at the Rinconada public courts at Hopkins/Cedar. Play is from 9 till 12, with 4 45-minute sessions. Please arrive 15 minutes prior to a session (sessions are at 9, 9:45, 10:30, 11:15) to sign up. The events are open to the public for $5, club members are free. Email Henry at: "dropins @paloaltotennis dot com" for more info on the Rinconada drop-ins. Club-managed drop-ins are also held most Saturdays on courts 1,2 and 3 at Cubberley's public courts from 9 - 12. Palo Alto Tennis Club offers the opportunity for enthusiastic people to help out with its many club functions. Our local tennis store, Tennis Town and Country, is offering a 10% discount to our members on all merchandise excluding tennis balls and sale items. Mention you are a member of PATC when you are shopping.